Well, this is not exactly a gadget nor a gizmo (perhaps a game? ), but when this caught my attention in the late night news, I became all excited. 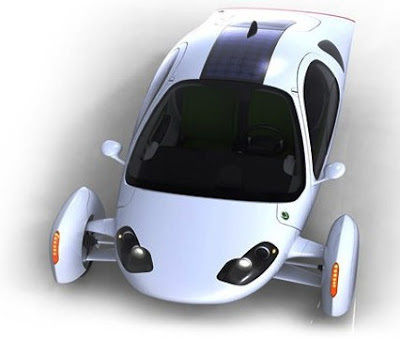 This is the Aptera, an electric car that is designed to be user- and price-friendly. It looks like a car from the future, and it may very well be the one that will usher in electric cars to the general population. The Aptera 2e will be priced between US$25,000 to 40,000, with the factory churning out the cars by October. The 2e is an all-electric model that can run 100 miles over a single charge (in a 100V power outlet under 8 hours). Hang on... $25,000 is still a tad too expensive for me. Nevertheless, reservations are currently being accepted to the tune of a US$500 refundable fee, and about 4 thousand hopefuls have lined up. The car is currently available in California, but the manufacturer hopes to make this more widely available sooner than later.